Home > US Sports > NFL > New England Patriots In The Super Bowl Again? As we approach the NFL Draft, teams will be preparing for the upcoming season as they start their mandatory off-season workouts. A number of clubs have improved their roster during free-agency, but which one has it all to win the Super Bowl? The Green Bay Packers last reached the Super Bowl in 2011 when they defeated the Pittsburgh Steelers to lift the Vince Lombardi Trophy. Since then, they have failed to reach the Super Bowl despite having a high-calibre roster. The Packers underwent a series of changes this off-season including the departure of Jordy Nelson. Nelson’s release resulted in the addition of Pro Bowl Tight End Jimmy Graham from Seattle. Graham is coming off a brilliant season with the Seahawks in which he scored 10 touchdowns, his best in a Seattle jersey. The Packers have lacked a Tight End for years and with the addition of Graham, Aaron Rodgers has a huge red-zone target. Any team who has Rodgers is a contender for the Super Bowl. Coming of an injury year, you can expect him to be healthy and in the best form of his career. The Los Angeles Rams surprised everyone last season when they made their first post-season appearance since 2004. With the likes of Jared Goff, Todd Gurley and Aaron Donald, the Rams have the ability to reach the play-offs for a second year in a row. Sean McVay and Wade Philipps were active in free-agency and may have made the Rams a stronger team with the acquisitions of Aqib Talib, Marcus Peters and Ndamukong Suh. A frightening defence just got better and the Rams look like the front-runner to win the NFC West in a division which was run by the Seahawks. Don’t strike them out for a potential Super Bowl appearance. The New England Patriots seem to be a lock for the Super Bowl every year with no obvious contenders in the AFC. It seems as if it’ll be the same this year with Tom Brady and co looking for a 6th Super Bowl ring. The Patriots may have lost key players such as Amendola and Nate Solder but they still have the greatest quarterback of all time, Tom Brady. Rob Gronkowski’s future is still in doubt but should he return, the Patriots will be a key threat in the AFC. Don’t be surprised to see them in Atlanta come February. 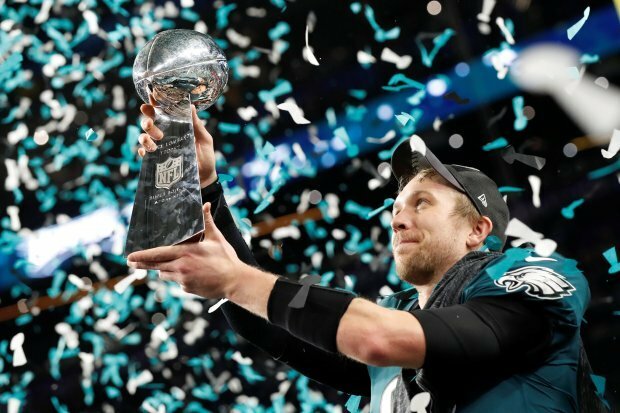 The Philadelphia Eagles were the biggest shockers last season having won the Super Bowl with backup quarterback, Nick Foles. The injury of Carson Wentz meant the Eagles were the underdogs despite being the number one seed in the NFC. Philadelphia took the role of the underdog and stunned everyone when they defeated the Patriots in Minnesota 41-33. A man on the verge of retiring ended up taking his team, his city, to their first Super Bowl trophy and in the process winning MVP. Carson Wentz is returning from an ACL injury and questions will be asked as to whether he is the same quarterback as last season. With the addition of Michael Bennett, the Eagles are stacked on the defensive front and should they continue their form from last season, then the Eagles look a strong contender to reach the Super Bowl for a second season in a row. The Atlanta Falcons are a wild card. You never know which team will appear. Two seasons ago, they reached the Super Bowl and looked as if they were going to win. Well, the rest is history. 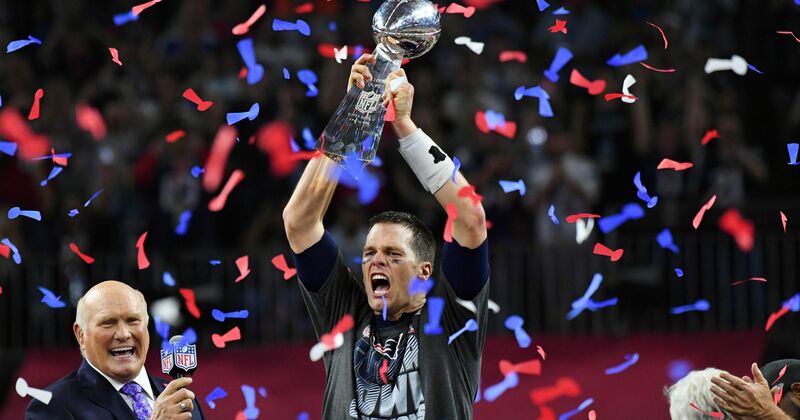 Tom Brady and the Patriots mounted the biggest comeback of all-time and won their 5th Super Bowl. Since then, the Falcons haven’t been the same. Last season they fell to the Philadelphia Eagles on the final play of the game. The target? Julio Jones. The team have a number of quality players, Matt Ryan, DeVonta Freeman, Mohamed Sanu to name a few. In a division with the New Orleans Saints and Carolina Panthers, I expect the Falcons to progress further and to do that, the team mustn’t rely on one man. With Atlanta being the host city for next year’s Super Bowl, you can guarantee that the Falcons will be desperate to play the big game in their own backyard. Kyle Busch matches Harvick’s three straight wins on the year.